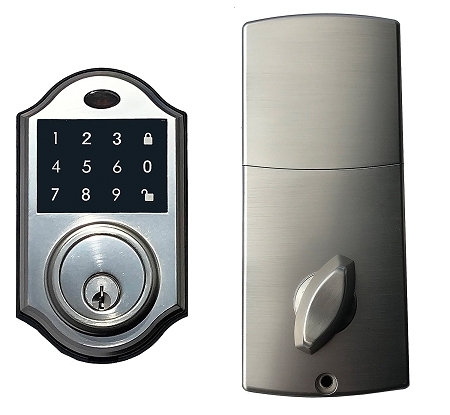 Single cylinder electronic deadbolt operates by keypad or key outside and thumb turn inside, fits door thickness of 1-3/8 in. 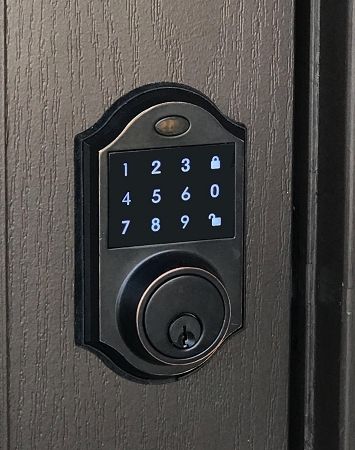 to 1-3/4 in. 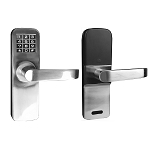 Includes an adjustable latch to fit standard 2-3/8" to 2-3/4" backset. 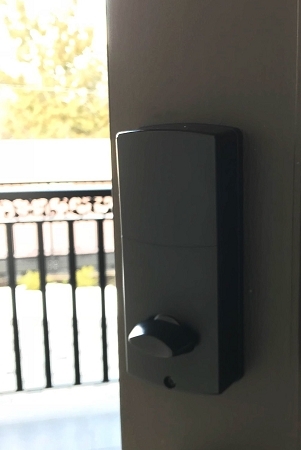 Easy to install, no hardwiring required. 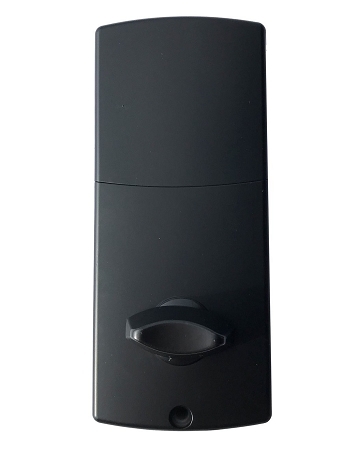 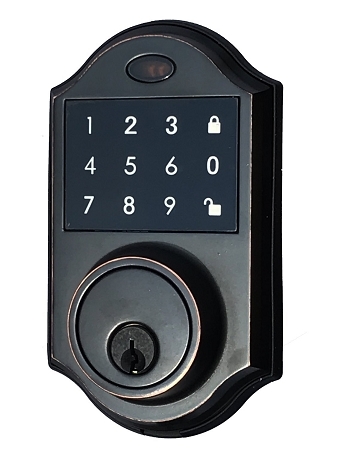 Protect your house, apartment, office with this touch screen keyless door lock. 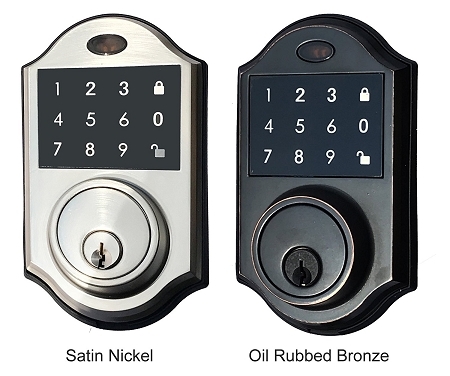 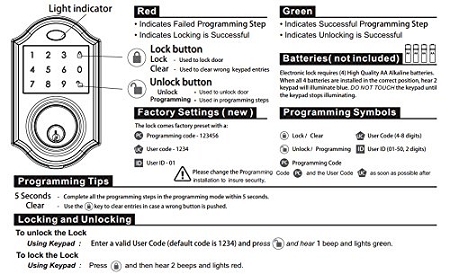 electronic touchscreen deadbolt is programmable with 50 different user codes. 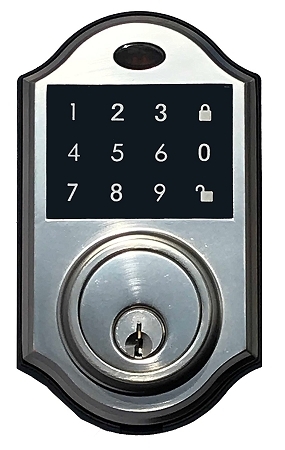 The touchscreen keypad is backlit for easy viewing. 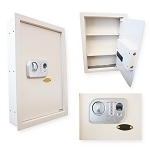 It fits doors 1-3/8 inches to 1-3/4 inches thick and has an adjustable backset 2-3/8 inches to 2-3/4 inches.